Most high-end graphics cards come with decent air coolers but that’s certainly not a given. In addition to being overly loud, some can become overwhelmed under intense, extended loads which can lead to throttling, instability and even shortened lifespans. Liquid-based coolers are typically more efficient and generate less noise but unfortunately, they aren’t all that uncommon (or affordable). The good news, however, is that you may be able to use an all-in-one (AIO) CPU watercooling kit to chill that hot GPU thanks to NZXT’s newest product. 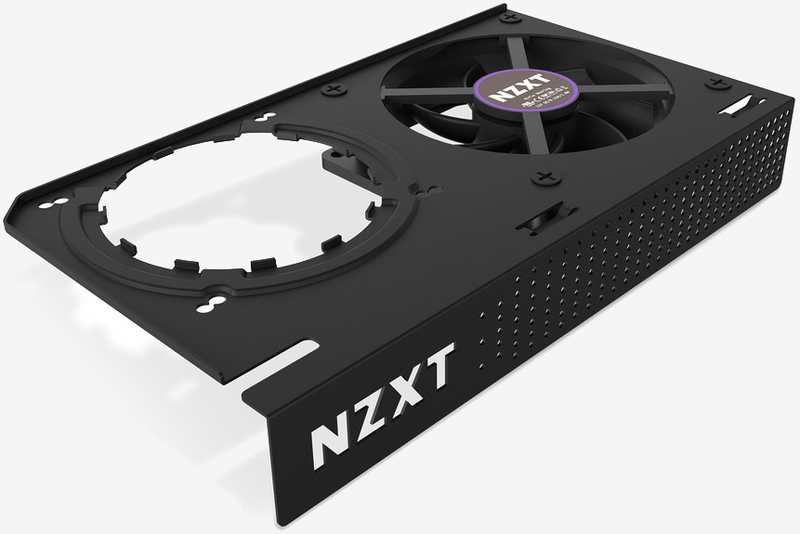 The NZXT Kraken G12 is a specialty bracket for graphics cards that allows you to mount a CPU AIO cooler onto the GPU. NZXT says the assembly, which is compatible with over 40 different GPUs – both AMD and Nvidia reference and non-reference designs – and more than 30 different liquid coolers, can afford up to a 40 percent increase in cooling capacity. The bracket also comes with a 92mm fan attached for active VRM cooling. NZXT lists the Kraken G12 on its website for $29.99 in your choice of white or black color schemes with an “earliest” estimated shipping date of April 24. If you’re looking to boost the cooling performance of your GPU, this may certainly be worth a look (just be sure to check out the list of compatible graphics cards and coolers before purchasing).